When Kander told me that Sunday’s EverQuest II: Q&A panel from SOE Live 2013 had some good questions raised, I despaired that nobody had recorded it. That was, until I found a post on the EQ2 forums from Zictor (who I got to meet at SOE Live!) who had recorded the audio from this panel! First up, this fall’s expansion is Tears of Veeshan. It’s a high level expansion with a huge overland zone and 9 massive dungeons. Each of the dungeons in the expansion will have quests and storylines. Dragons AA Tab — The Dragon’s tab has 4 lines to choose from which vary by Archetype. Depending on your archetype, the AA tab will have a different label — Dozekar, Yelenak, Woushi, and Trakanon. (This is just flavor text). With the expansion, the Alternate Advancement cap is going up to 340 points. What can I say about tomorrow’s Itemization Evolves panel? (without being hunted down by Georgeson?) Not much, but just imagine me with duct tape over my mouth, two thumbs way up, and smiling. In Kander‘s EQ2Talk interview a few months back, he told us that linear, static, and boring itemization is going out and player choice is coming in. I am very excited about this panel and hope you don’t miss our Liveblog of it! The oracles still see chaos and uncertainty on the horizon even with victory for the New Combine army in Cobalt Scar. Join Field Marshal Vishra at Scarstone as he tirelessly guards the newly found Tear of Veeshan – an artifact that could turn the tides of war forever in this time of delicate peace. Is it the key to preventing the end of the world foretold in the Ages End prophecy? Those that have completed “Tear in the Grotto” are being summoned to find out! Three New Contested Avatar Raids: Pit yourself against three new contested avatars in the overlands – Prexus, Solusek Ro, and Drinal! The Arena of the Gods is a raid instance that allows 24 players to challenge any of the 9 avatars that are in game (includes the new contested avatars released in this GU). Once you kill an avatar and are rewarded, you can continue to practice the encounters as much as you want (there is a 3-day lockout timer for rewards). Entrances to the Arena of the Gods can be found in the cities of Freeport and Qeynos. Attacking a player will now force them into combat. If there are any other changes in this update, we will update this article! Game Update 67: Darkness Dawns has now hit the EQ2 Beta server and here are the Update Notes. Game Update 67 is expected to go live July 23, 2013. The Arena of the Gods is a raid instance that allows 24 players to challenge any of the 9 avatars that are in game (includes the new contested avatars released in this GU). Once you kill an avatar and are rewarded, you can continue to practice the encounters as much as you want (there is a 3-day lockout timer for rewards). Kelorek’Dar no longer stuns or interrupts players as a damage shield. He will instead damage player’s power pools slightly at the same frequency. Kuom’Ziki will no longer continue to speak when he is dead. Fixed a spawn point for collectible shinny that was below the surface at location -1619 183 1116. The “Sabertooth Champion” should start spawning again. The respawn for him is around 20 minutes. Sleepers tomb raid – challenge mode ancient sentinel no longer heals itself with Touch of Velium II spell. The Travelling Augur is adjusted to prevent the possibility of him falling beneath the dock. The second respawn location should not be available until the doors to the second half of the zone are unlocked. Shyneera will no longer become unkillable. 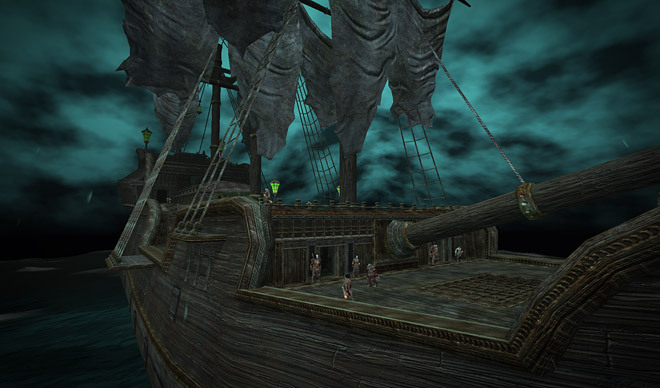 Using escape in Oakmyst now places the player at the Oakmyst Forest dock. Mort Gimblesquee, an ammunition merchant, has set up shop in Gnomeland Security in the Steamfont Mountains. All EQ2 Servers will come down on Tuesday, April 30, at 7:00 am Pacific Time* for Game Update 66: Scars of the Awakened. The expected downtime is three hours. Part of this maintenance will occur at the same time as a SOE-wide maintenance. Ever vigilant, Norrathians march united under the banner of the New Combine army, deeper into the perilous continent of Velious. Finally, the army breaches the borders of a region known as Cobalt Scar – a majestic, lush, but tormented region. And from within dark passages in the surrounding mountains, the inhabitants of Sirens Grotto beckon to all. The first news heard from Cobalt Scar concerns tribes of Othmir that succumbed to an unfortunate fate that now threatens everyone. Further examination into the area will reveal a foreboding presence of the Awakened Legion, a force of evil that decimated dragonkind in the legendary city of Skyshrine. Nearby, in the watery depths of Sirens Grotto – unseen by landwalkers for the ages – it is said that the caverns hold secrets of their own. And the beguiling siren coven known as the Darkwater Sisters will not give up those secrets easily. All the while, the Ages End Prophecy looms with its promise to see Kerafyrm – Norrath’s most evil, powerful dragon – bring a violent end to the world. Heroes from every corner of Norrath are called to explore this new land in Velious and fight for a future for all. In addition to the new content in Game Update 66, which hits Beta today and will go live on April 30th, there are numerous class tweaks. But instead of class balance (although there is some of that), the overriding theme of the class improvements in this update could best be summed up as “What Bugs Your Class Most?” All those things about your class that drive you crazy, like having to be directly behind the mob to use your biggest hits as a Dirge, or having to be exactly 5 meters from the mob to do both your Melee and Ranged CAs as a Ranger. Read over the notes and give us your take. Are these great, long overdue changes, or does it almost go too far, making things a little too convenient? As a Ranger, I’m excited about the changes, but will I become even lazier now that I can stand pretty much anywhere in the room and do my maximum DPS? I certainly applaud a number of the changes which were things that “didn’t make sense” which have now been fixed. Added Fuel, Food, and Drink filters. Added Tier sorting method “/sort_bags tier”. Added Ascending and Descending parameters for sorting called with “a” and “d” respectively (ie: “/sort_bags tier a”). Restored old bag swap functionality. Dragging a bag over another bag in your equipment window will swap the position of those bags (without moving their contents). To dump the contents of a bag into another, open the destination bag and then drag and drop the source bag into the open destination bag’s window. Bag Dumping now supports partial dumping. Remaining items beyond the destination bag’s limit will be placed back within the source bag. The scout cursed by the ogre witchdoctor should not be teleported unless there are not enough valid teleport targets. Temporary buffs that have reduced durations in PVP combat will now acquire their PVP durations more reliably. Eidolon Jungle: Solo set gloves now drop from certain solo named. Pirate King Mage accessories now have offensive casting skills, Subjugation, Disruption and Focus. The Velious saga continues! New lands and adventures will be uncovered on April 30 with Game Update 66 entitled EverQuest II: Scars of the Awakened! New PvP Set Bonuses a Strikeout? Some of the big features of this week’s Game Update 65.5 were a number of class tweaks in PvP combat, the expansion of PvP’s Blue Adornments to other items (cloaks, charms, etc. ), and the addition of PvP Set Bonuses on certain items. While the first two have been well-received, it seems that the new PvP Set Bonuses were bugged on Test and Beta and are now bugged on Live such that they are not effective at all. But perhaps the bigger issue is, some of the PvP Set Bonuses grant stats which even the most poorly-geared player has already capped out on. These setbonuses should work with duplicates of the same item. These have been working for a while on internal servers but unfortunately they were missed in our data push to test/live. This fix will be pushed out to you guys as soon as possible. We’re aiming to have the set bonuses fixed and functional in next Tuesday’s hotfix (March 5th 2013). If plans change I’ll keep you updated! However the issue of whether the PvP Set Bonuses are desirable continues to be discussed on the EQ2 Forums. Have you found any of the new PvP Set Bonuses to be useful or desirable for your PvP characters? New x2 raid zone Wurmbone’s End: Nox Incessit (with normal and challenge versions). Entrance located in Jarsath Wastes. New x4 raid zone The Dreadcutter: The Pirate Kings. Entrance located in Obol Plains on the dock. Open up the Bag Options window from the button on each bag to access the filters that you’d like to set for a respective inventory bag. After setting your options, hit the “Sort” button on your Character window. This will send a command up to the server with “/sort_bags name”. In addition to sorting by “name”, you can type the sort_bags command yourself and put “level” to sort by level of the item instead. Any option that you set for filtering items will also affect which bag the item goes to upon looting! If you’d rather a bag not be sorted, feel free to mark the bag as a “Skip”. 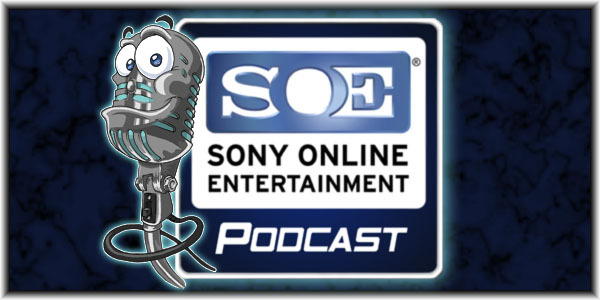 On February 21st, SOE Podcast #143 was posted and it includes a brief interview between Colette “Dexella” Murphy, EQ2’s Community Manager, and Kyle “Kander” Vallee, EQ2 Lead Designer, Brian “Omougi” Ferguson, EQ2 Systems Design, and Kenneth “Terrogaunt” Roecks, EQ2 Programmer. A mini-game update is coming on Tuesday, February 26. Included in this update are a number of tweaks, changes, and updates coming to PvP! Colette “Dexella” Murphy chatted with Brian “Omougi” Ferguson about what players will see and experience after the update. Colette “Dexella” Murphy: In her Producer’s Letter, Holly “Windstalker” Longdale mentioned new blue adornments. How will these blue adornments work? How will they differ from other adornments? Brian “Omougi” Ferguson: We are adding blue adornment slots to Imperial PVP charms, necklaces, cloaks, belts, and weapons. New blue adornments to fill these slots will be available for purchase in Champion’s Respite. These new blue adornments can add a passive effect, like a regenerating ward, or an active effect, like a lifetap proc, to your gear. Many of these blue adornments will increase in power if you equip multiples of them in different slots, so you’ll want to mix and match to find the sweet spot for your character’s build. These effects will only activate in PVP combat. UPDATE: This article has been corrected to state that this is not Game Update 66, which is expected later this spring, but a mini-update which is internally being called Game Update 65.5. From Holly “Windstalker” Longdale, Senior Producer of EverQuest II on the EQ2 Forums comes news of a game update which we can expect on February 26th, 2013. It’s been an exciting time for us since EverQuest II: Chains of Eternity went live. We are charging full steam ahead with creating more rewarding, memorable experiences and have redoubled our efforts to tell stories better than any other game. Speaking of memorable experiences, we are leading up to Erollisi Day with live events that run Feb. 7 to 20. This year there are nine new achievements, new items — including a set of flying wings, and new reward choices. Since December, we’ve been hard at work crafting the “long view” for EQII to forge a really great year for our game. And I am comfortable telling you we have really great stuff coming into the game this year. At the same time, we are watching and listening to the community to resolve issues and fix bugs. We are starting the year with a Game Update on February 26. Today’s update is all about Itemization, specifically Group and Raid zones in Chains of Eternity. Players have been clamoring for Chains of Eternity Heroic zones to drop items even as good as some of the powerful items found in Advanced Solo zones, and it looks like those sentiments have been heard. (Don’t worry Soloers, the solo zones still drop a ton of loot). Sleeper’s Tomb (Contested) has had a bigger problem as players quickly abandoned it when they found that the loot was hardly better than that from the much easier instanced heroic zones. After 3 expansions with Yellow and Red Adornments being sold by vendors, Chains of Eternity tried something new with Pre-Adorned items. The most desirable adornments are now found in dungeons and raid zones already attached to items (often of a different class/spec to the adornment). While this is an intriguing concept, and it has the potential to extend gameplay, it has also led to player confusion and frustration. But one slice of the EQ2 playerbase who have yet to see the silver lining in this concept of Pre-Adorned loot are Raid Leaders who have been given the unenviable task of deciding whether Pre-Adorned items will go to someone who needs the gear upgrade, or someone who needs the adornment. There will not be a merchant for CoE adornments. We are adding green adornment removers that will remove green adornments without destroying the item, they will be available for plat from a merchant. We are also adding adornment removers that will remove any one adornment without destroying the item. These will be very costly, plat wise from a merchant, but will be rare drops in all CoE heroic and raid zones. The Thanksgiving holiday falling just after an expansion is always a pain. Just when we need those Tuesday/Thursday updates the most, the fixes start to thin out, or are postponed. But for those who have been waiting patiently (and even if you haven’t), the time is finally here for the post-Chains of Eternity Mega Patch. Tomorrow’s update contains a ton of fixes to issues that have been brought up repeatedly in /bug, here, and on the forums. [eq2u]Call of the Veteran[/eq2u] is back working as it was before. Jarsath Wastes Sokokar Trainers are back. Gathering Goblin produces less rares, particularly roots. Trichromatic Adornment Removers that will remove Yellow, Red, and Green adornments have been added as Tinkering recipes. This is in addition to the existing adornment removers which can remove yellow, red, or combinations thereof. Spirit Stones (green adornments) now have better in-game display. Items made with Refined materials, or which have been Experimented upon can now be linked in channel. Further, they now display correctly (instead of just showing the base item) when listed on the Broker. Fixed an issue that prevented voice overs working with socials. Added a video input device selection dropdown for SOEmote in the Options (Advanced) – SOEmote. Vhishall, Freeport furniture merchant, now offers a selection of paintings for those that have completed particular quests in the city of Freeport. In the general Teku fight warboars have less health and run slower, war wraiths will turn to face attackers sooner than before. Eriak the Fetid – Echo of Terror adds will no longer cast demonic flames as soon as they spawn. An Auto Attack timing window has been implemented into the default UI. You can enable / disable this feature under User Interface – Game Windows – Show The Autoattack Timing Bar. Fixed an issue with the age slider for male / female humans. Fixed some customization issues with Darkelves. Fixed an issue with skirts on humans and elves. The click to cure section of the group UI should display information more accurately. Fix for issue where the SOEmote/Voice Bar window would display even after being toggled off with alt+v. SOEmote/Voice Bar window should now retain the toggled state. Added checkbox to show/hide the SOEmote/Voice Bar to the options SOEmote tab under both the SOEmote and the Voice Chat titles. Darkelf female mouth should close completely now. Human female skin tint should be correct once again. Want to give the Game Update 64 Battlegrounds changes, including Level Agnostic Battlegrounds a test drive and give useful feedback to developers? Level Agnostic Battleground testing from 5-7 PST – bring a character below level 35 to the Level Agnostic buffer, set up your character and then get into a battleground! Buffers will be located on the docks in Kylong Plains, and at the Champion’s Respite zone-ins in Qeynos and Freeport. 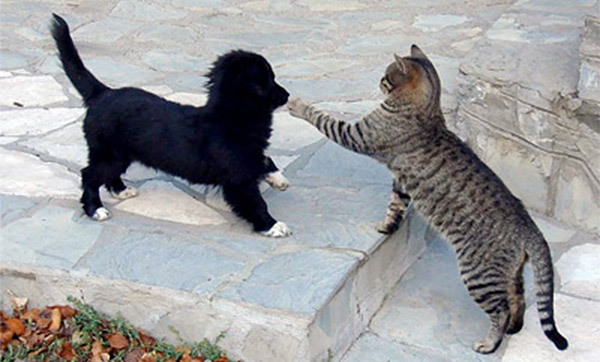 Level 92 testing from 7-8 PST – visit a level 92 PVP buffer, set up your character and then get into a battleground! The new Qeynos is rife with intrigue and conflict as the city, Queen Antonia Bayle, and the Circle of Ten evolve and struggle to oversee the welfare of the goodly folk of Norrath. As is in most places in Norrath, power can tip the scales. The new racial quests, which are available at all levels, offer history and an introduction to your origins as well as a sense of your place within your race while experiencing the Qeynosian struggles. The new class and storyline quests, starting at level 20, drop you amidst the city’s strife with your brethren all the way to the high court.